May I see your artwork? It's a Wonderful Life is one of my favorite movies. 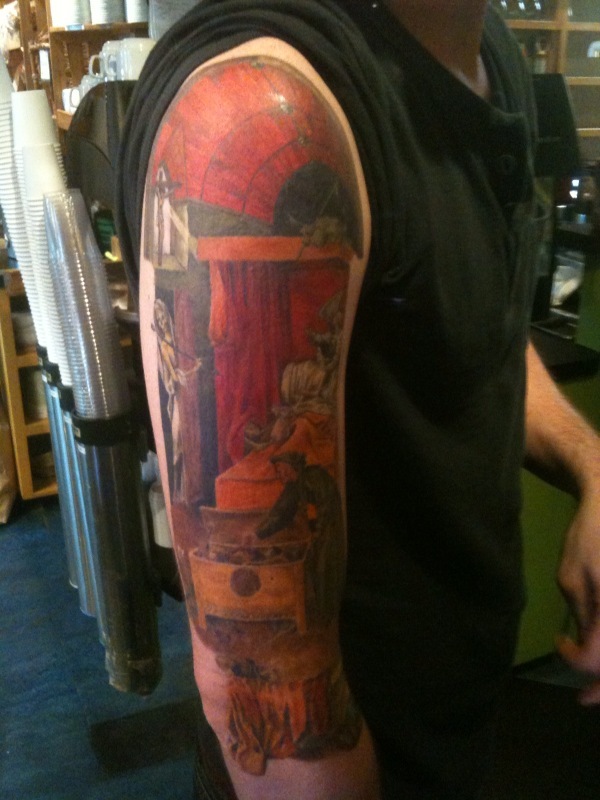 I caught a glimpse of some amazing artwork on this guy, aka Justin Kroger of EKG. "May I see your artwork," I asked. 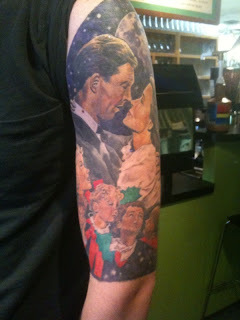 To my little wondering eyes did appear a 360 of the movie It's a Wonderful Life, on this boys upper arm. Get this he had it done in Little Rock, AR! 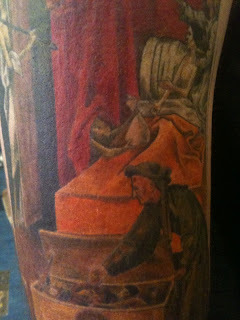 7th St. Tattoos, Caleb Pritchett, the artist. but wait, there is more, Hieronymus Bosch, Death and the Miser. Bosch is most mysterious. His puzzling, sometimes bizarre imagery has prompted a number of false assertions that he was, for example, the member of a heretical sect, a sexual libertine, or a forerunner of the surrealists. What can be said is that he was a moralist, profoundly pessimistic about man's inevitable descent into sin and damnation. Artist Caleb Pritchett, 7th St. Tattoos, Little Rock AR. what are your thoughts on Bosch art and the message it conveys? and please may I see your artwork! Email me photos of your artwork or favorites that you come across to angelcourtjewels@yahoo.com. I will post our favorite ones. Thanks for your interest in my art. I would like to explain my take on Bosch's art in this specific piece. It's about a man on his death bed (literally death is in his doorway). 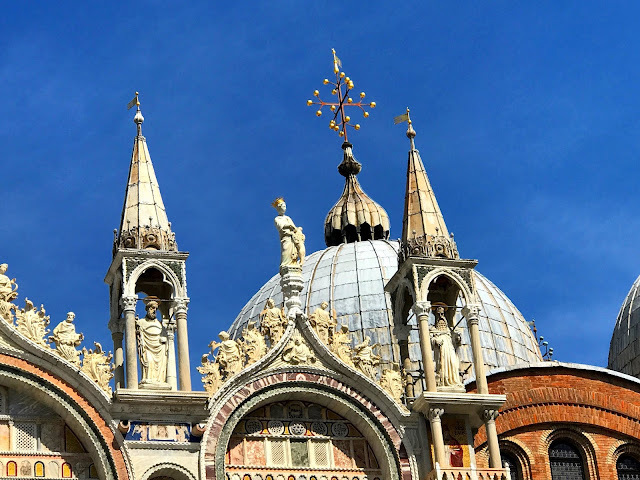 He has been hoarding money and possessions of the wold in a chest at the foot of his bed. The painting shows a demon in his bed offering a bag of riches while an angel is directing his vision to a crucifix in the window. To me this speaks of spiritual warfare and much like "It's a wonderful life,"shows the importance of friends, family and faith over worldly possessions. "all that you can take with you is that which you have given away" and "no man is a failure, who has friends" are principles that I have taken from both it's a wonderful life and bosch's illustration. My tattoos are a way for me to share my faith in Jesus Christ and hopefully spur others towards finding spiritual solidarity.